La Légende cruelle (“The Cruel Legend”), based on the paintings of Leonor Fini. Produced and directed by Alexandre Arcady, screenplay and commentary by Gabriel Pommerand. Narrated by Daniel Gélin, music “La Notte” by Vivaldi. Grand Prix du Film d’Art, 1951. B&W, 16mm. Distribution in France by Gaumont of a new print of Carl Th. Dreyer’s “Joan of Arc,” preceded by Arcady’s “The Cruel Legend.” Henri Langlois offered screenings at the Cinémathèque Française 12 February, and the Studio des Ursulines 12 December. Florilège, short film by Jacques Guillon. With Georges Auric, Jean Cocteau, Leonor Fini, Jean Giono, Marcel Pagnol, Raymond Peynet. Music by Marc Lanjean and Van Parys. Leonor Fini ou l’insolite au quotidien (“Leonor Fini, or the Unusual in the Everyday”), as part of the television series, “L’Art et les hommes,” directed by Jean-Marie Drot, produced by ORTF. Texts by Francis Ponge, Czeslaw Milosz, Stéphane Mallarmé, and Jules Supervielle. Narrated by Loleh Bellon. Broadcast 1 March 1959, and 31 August 1962. Running time: 25 mins, 40 secs. Leonor Fini, documentary by Yvan Butler for the program “Champ Libre” by Madeleine Brumagne for Télévision Suisse Romande (TSR). Broadcast 17 October. Running time: 17 mins. Portrait-poème pour Leonor Fini, Jean-Émile Jeannesson. Groupe de Recherche de l’ORTF. Broadcast 25 January 1968 and 11 May 1971 on ORTF. Running time: 58 mins, 30 secs. Reportage sur un squelette ou masques et bergamasques, Michel Mitrani, José Bergamin, Leonor Fini. ORTF. 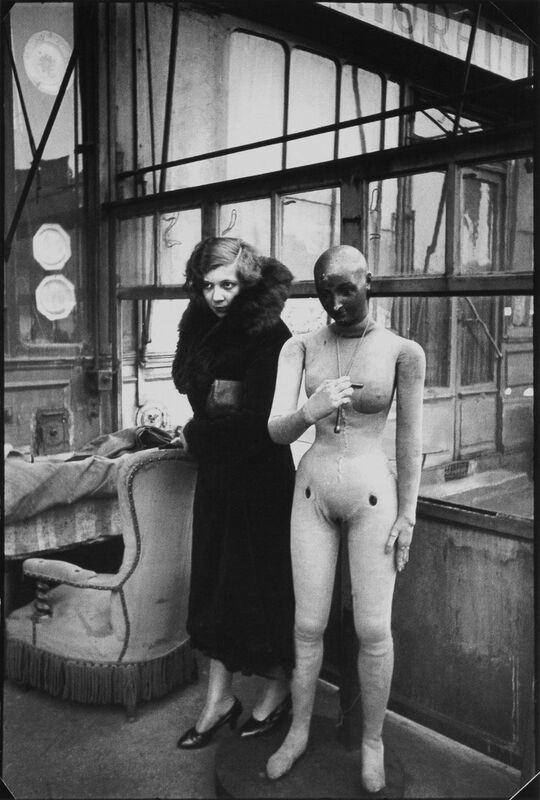 Musique de Jean Wiener ; décors naturels : hôtels particuliers du Marais, Paris ; costumes et masques de Leonor Fini, avec Judith Magre dans le rôle de Médée. Diffusée le 24 mars 1970. Leonor Fini, Wolfgang Habermehl. Cologne Televsion, RFA. Leonor Fini, Jean-Émile Jeannesson. Interview with Leonor Fini. ORTF, Channel 2, “Vingt-Quatre heures sur la 2.” Broadcast 6 November. Leonor Fini, Michel Henricot, private short film filmed in Nonza, Corsica, and Saint-Dyé-sur-Loire. Broadcast on Japanese television. Running time: 12 mins. Leonor Fini, Michel Henricot, court-métrage privé tourné à Nonza, Corse, et Saint-Dyé-sur-Loire. Durée : 11 mn 45 s. Diffusé par la télévision japonaise. Leonor Fini, Guy Kübli. Bavarian Television, Munich. Leonor Fini ou le théâtre de l’ambigu (“Leonor Fini or the Theater of the Ambiguous”), directed by Jacques Goosens et Jean-Marie Deconinck for R.T.B.F (Belgian television) with interview with Leonor Fini. Broadcast 14 September, re-broadcast 23 novembre 2004 on R.T.B.F as part of the program Archives de la R.T.B. Running time: 43 mins. Leonor Fini, International Film, Milan. Directed by Franco Alimena, cinematography by Mario Liguigl, screenplay by Piero Chiara. Leonor Fini, directed by Chris Vermorcken. Le Ministère de la Communauté française de Belgique et Les Films Dulac, Bruxelles, with the participation of Constantin Jelenski and Angelo Rinaldi. Cinematography by Louis-Philippe Capelle and Denys Clerval, original score by Willy de Maesschalck, edited by Eva Houdova, sound by Alain Sironval, animation stand Jacques Campens. Produced by Dany Janssens Casteels, Agnès Rombaut, Marilyn Watelet, Chris Vermorcken. Filmed in Paris and Saint-Dyé-sur-Loire in the summer of 1986, distributed by R. M. Associates, London. With funding from Éditions Van Dijck. Running time: 90 mins. Premiered at Palais des Festivals at Cannes l1 May 1987, as part of M.I.P/T.V (Marché du festival de Cannes). Festival International de Film Francophone de Belgique, Namur, September 1987; First commercial screening at Cinéma Studio, Brussels, November 1987. Portrait of an Artist, by Chris Vermorcken. VHS release in England and the United Sates of the 1987 film. French with English subtitles. Produced and distributed by RM Associates (Home Vision). Running time: 86 mins. Re-released in 2000. Leonor Fini, Interview at St. Dyé-sur-Loire, directed by Gianfranco Rados, photographed by Mario Mafredi, edited by Zarco Suc. A production of Videoest, Trieste. Broadcast on RAI-3 FVG, 3 October. Running time: 23 mins. La Maison de Leonor Fini, 8, rue de la Vrillière, Paris, June 1996, private documentary conceived by Rafael Martinez and Richard Overstreet. Director of photography: Philippe Puicouyoul (Centre Georges Pompidou). Narrated by Rafael Martinez. Music, suite from “La Mère l’Oie,” by Ravel. Running time: 18 mins. Ma dov’e Leonor ? (But Where is Leonor? ), documentary. Directed by Giampaolo Penco with the collaboration of Corrado Premuda and Richard Overstreet. Produced by Giuliana Carbi and Giampaolo Penco for Trieste Contemporanea and Videoest. Running time: 40 mins. Leonor Fini documentary in preparation.